Things to do in Asheville, N.C. this weekend. Asheville is a place of visionaries: Artists, musicians and chefs find draw inspiration from this mountain community they call home. This coming weekend (May 19-21), Asheville’s creative spirit is on full display with events showcasing everything from time-honored traditions of craft to the latest artistic techniques and musical sounds. Asheville’s downtown outdoor concert series kicks off with a bang! The free live music event will have a Mardis Gras theme. The High and Mighty Brass Band headlines with its mix of classic New Orleans Funk, R&B, Afro-Beat, and Hip Hop. Asheville’s Josh Phillips Big Band opens the show. While you listen to the music, enjoy local and national brews, and fuel up with food from local food trucks and eateries. Saturday and Sunday, 10 a.m. to 6 p.m. 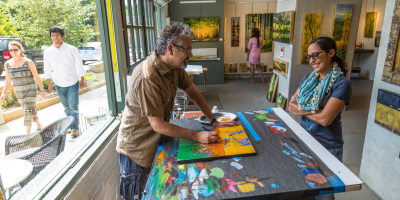 The heart of Asheville’s creative community, the River Arts District, opens its doors to give a special first-hand look at how, and why, local artists create. Be a part of the largest and most walkable tour of artist studios in the region. 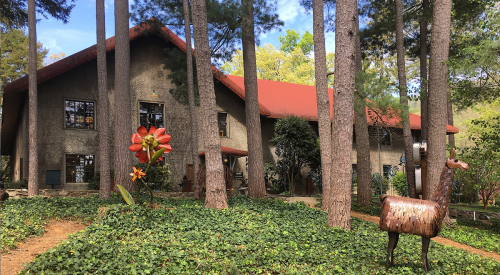 You’ll have the opportunity to visit nearly 200 studios and galleries in more than 20 historic buildings where you can watch demonstrations, talk to the artists, and find your favorite original piece to take home. 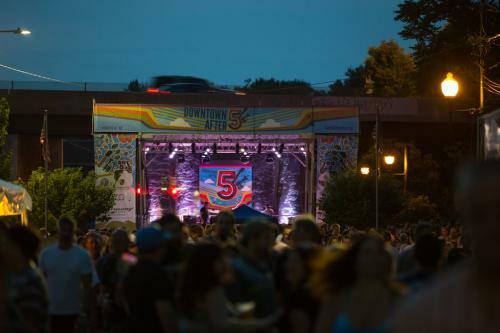 Two stages with more than 20 acts performing continuously have helped this free, family-friendly festival become on the largest one-day music and arts festivals in the region. Performers take the stage on the beautiful tree-lined streets of historic Montford Avenue during this neighborhood block party. Festival favorites the Chinese Dragon dancers, Morris Dancers, and Montford Park Players will have a new entertainment space at Montford Square. More than 100 artists/craftspeople will dazzle with their gallery-quality creations. And, you’ll be able to choose from local food trucks, Caribbean-inspired food from Nine Mile and Italian cuisine from Chiesa. Join in the celebration of this major milestone for Grovewood Gallery, a nationally-recognized gallery dedicated to fine American-made art and craft in Grovewood Village. The party includes artist demonstrations, an outdoor sculpture exhibition, live music, and local food and drinks. Throw your name in the free raffle to win a sculpture to take home! Take part in the newest arts and craft show in Asheville. The show will draw as many as 175 juried fine art and craft artists from across the United States specializing in everything from paintings to sculpture, from glass to fiber. All the artists personally make their original creations and will have them for sale. Admission is $8 per day or $10 for the weekend. Children 13 and under get in free. Expect to experience the unexpected! Tour de Fat features an ensemble cast of performers including musicians, circus performers, vaudeville acts, magicians, comedians and more. Third Eye Blind headlines the main stage performances. Wear a costume and be ready celebrate! The festival is family-friendly with free admission for kids under the age of 12. 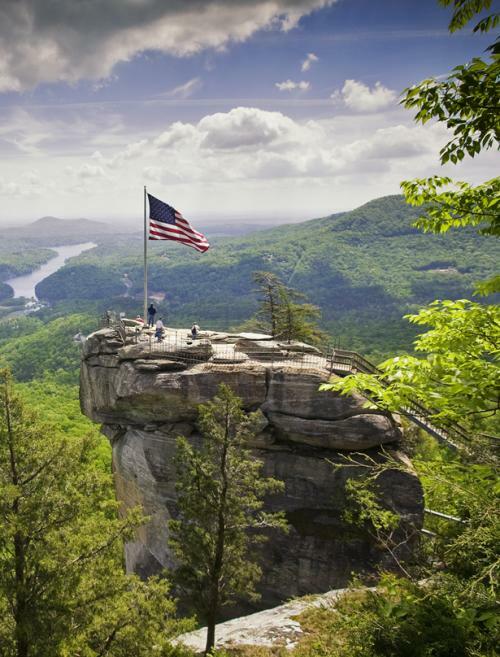 Go for a hike and celebrate Chimney Rock marking 10 years as a State Park. Many improvements and several thousands acres have been added to the park since its purchase from the Morse Family in 2007. 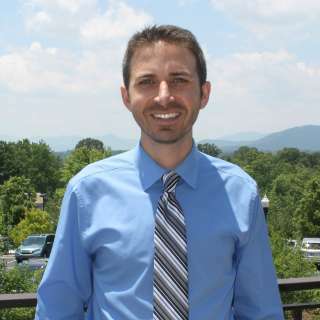 The celebration kicks off at 10 a.m., when visitors can take a guided hike to Hickory Nut Falls. At noon, there will be treats outside the Cliff Dweller&apos;s Gift Shop. Tickets will be just $10 with the donation of a can or box of food. Top photo by Jared Kay. Downtown After 5 photo by Jared Kay. Grovewood Gallery picture courtesy of Grovewood Village. Photo of Chimney Rock courtesy of Chimney Rock at Chimney Rock State Park.